Step-1: Go to freenom.com or dot.tk and search for the domain you want. 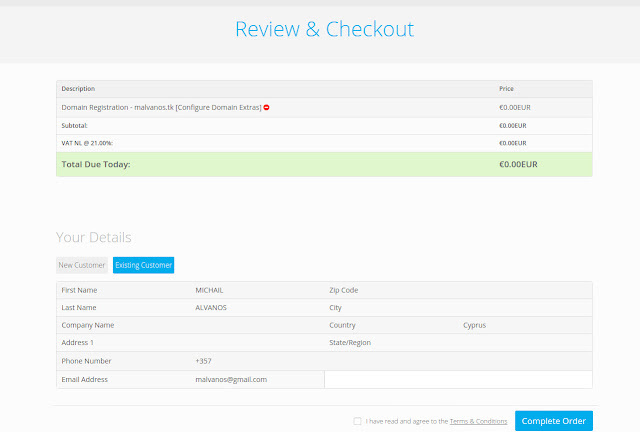 Step-3: Click Order Now button. Here you have to verify your account by email. Verification link usually comes after 4-5 minutes. Step-4: Go to Blogger Settings and find Publishing option in your dashboard. 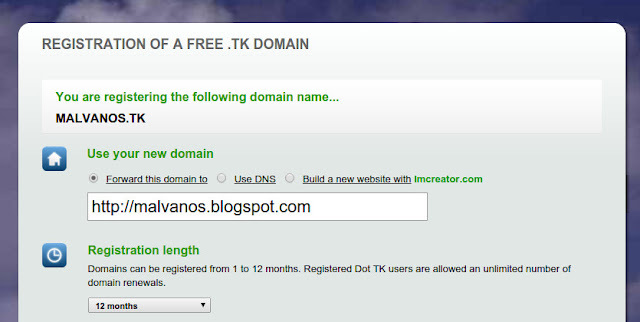 Step-5: Then enter your Tk domain with www in the empty textbox. Step-6: Hit Save button, you get a Error: "We have not been able to verify your authority to this domain. Error 12." Google provides you with two CNAMEs. Step-7: Go to Freenom site in a new tab and click on Domain Panel and then click on “My Domains”. 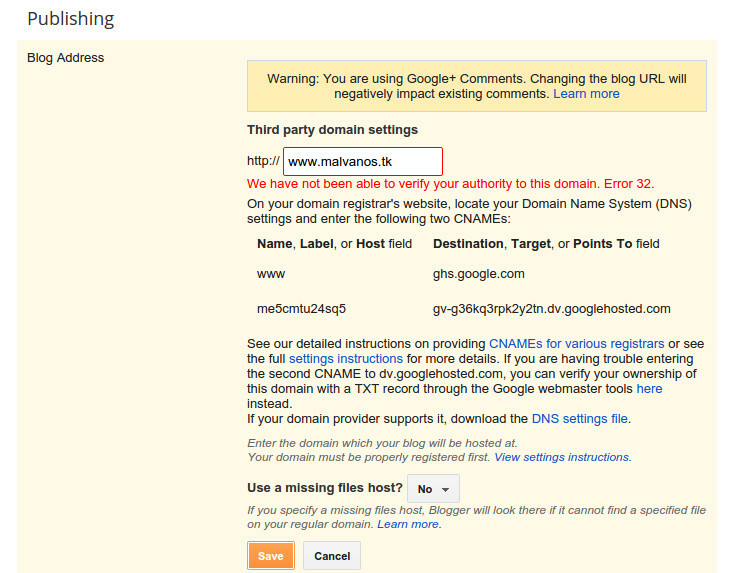 Step-8: Now click on "Manage Freenom DNS" and it will take to DNS MANAGEMENT. Step-9: First of all Select “CNAME Record” from type option then write “www” in Name and “ghs.google.com” in Target. Next copy the other information provided from Google.